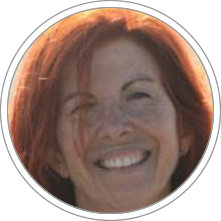 Maria Rosa Serra has a degree in Translation and Interpretation with a Master in Human Resources. She started her career at First National Bank of Boston as Assistant Director and after studying in the United States, she worked for Marine Midland Bank as Office Director. In 1989 he began a period of ten years at the Barcelona Hilton Hotel participating in opening and holding the position of Director of Human Resources, and as a member of the evaluation committee and international selection. Between 1998 and 2001 she was responsible for the opening and management of several business centers (Regus, Lexington, Euro Business Centre) and a restaurant (Harmony World) and in 2001 assumed the opening and management consulting recruitment Catenon. In 2004 she joined the opening of the Gran Hotel Balneario Blancafort in La Garriga, where she held the positions of Director of Human Resources, Assistant Director and CEO. AHbrentus created in 2007, specialized consulting in the area of HR which brings together professionals with extensive experience in different sectors. She was certified as a coach in 2008. He is currently a visiting professor at CENTRUM Catolica (Peru).